With the writers’ strike currently ongoing in the entertainment industry, CBS is rumored to be in discussions with the Ultimate Fighting Championship. 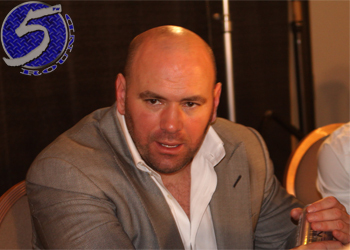 During a recent UFC conference call, Dana White said they were working on another huge television deal. If CBS and the UFC are able to come to terms, it would be a giant leap for mixed martial arts and it’s ever-growing fan base.